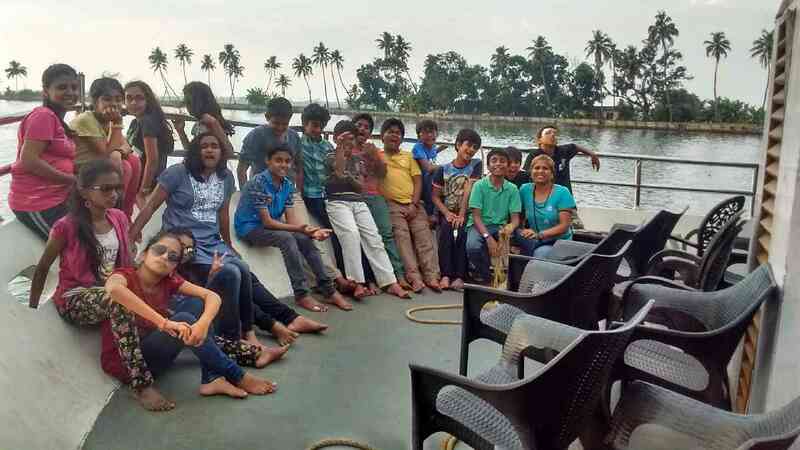 From 17th to 24th January, the Middle School students got to spend a splendid week in Kerala. 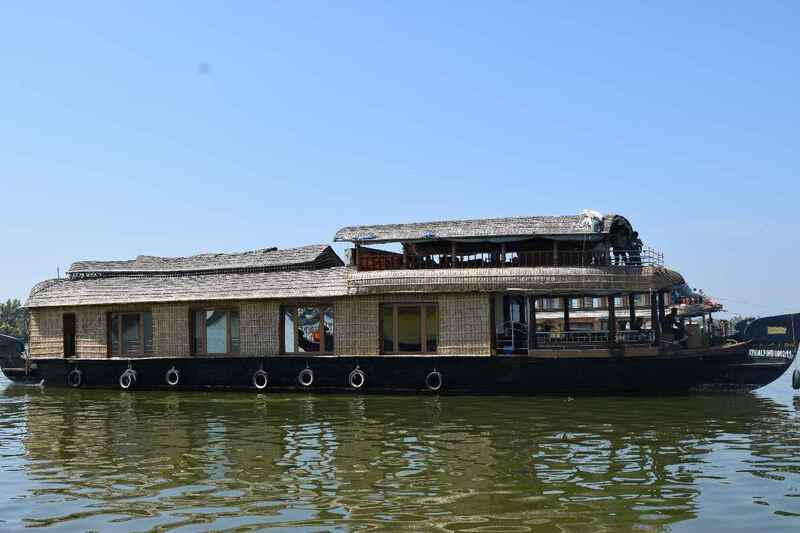 We went to the ‘spice capital’ Kochi, then got a taste of the backwaters of Alappuzha, trekked around Nelliyampathy and even tried our hand at folk arts in the village of Arangottukara in Thrissur district. 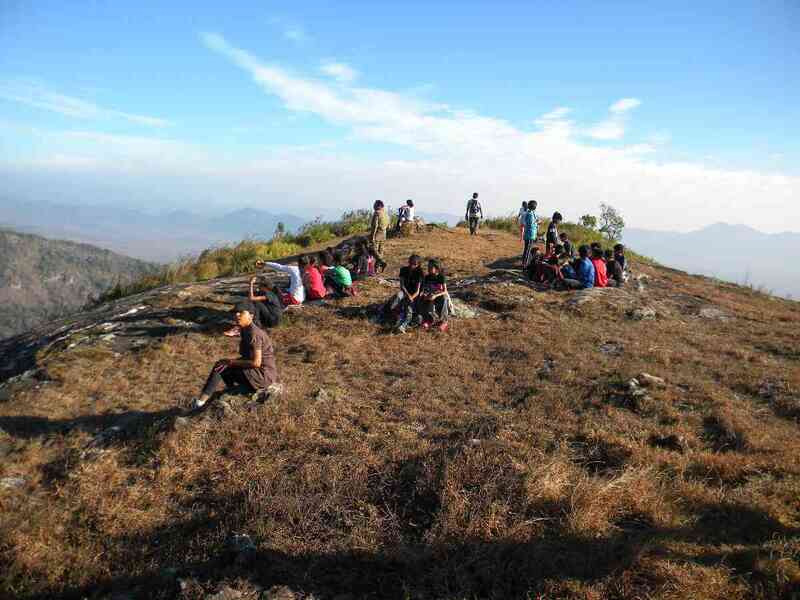 All thanks to our teachers and guides from Niravana Nomads. 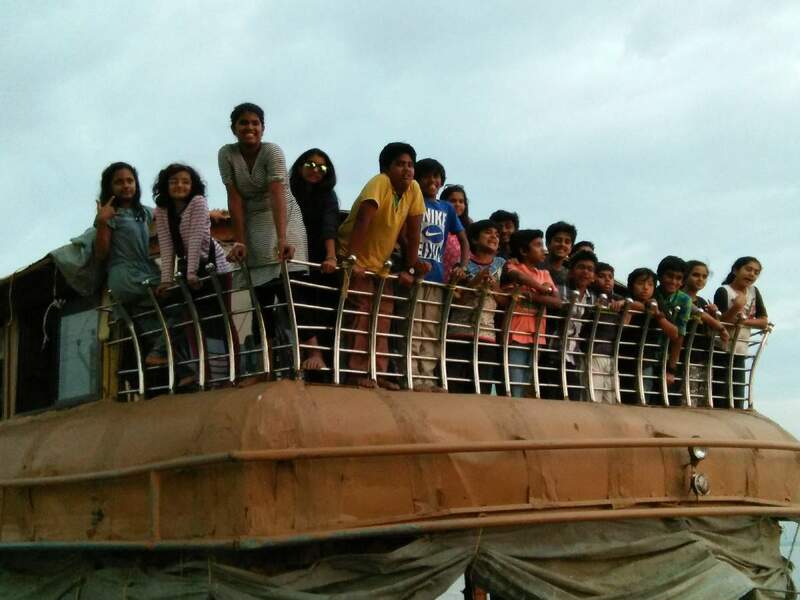 In Kochi we toured Fort Kochi which included seeing the Chinese Fishing Nets, the vast backwaters which merge with the Arabian Sea, St. Francis Church and Jew Town. While in the Jew Town we went to the Synagogue and walked through Jew Street which is one of the best places for shopping. After seeing the Mattancherry Palace we feasted in the David Hall Pizzeria. 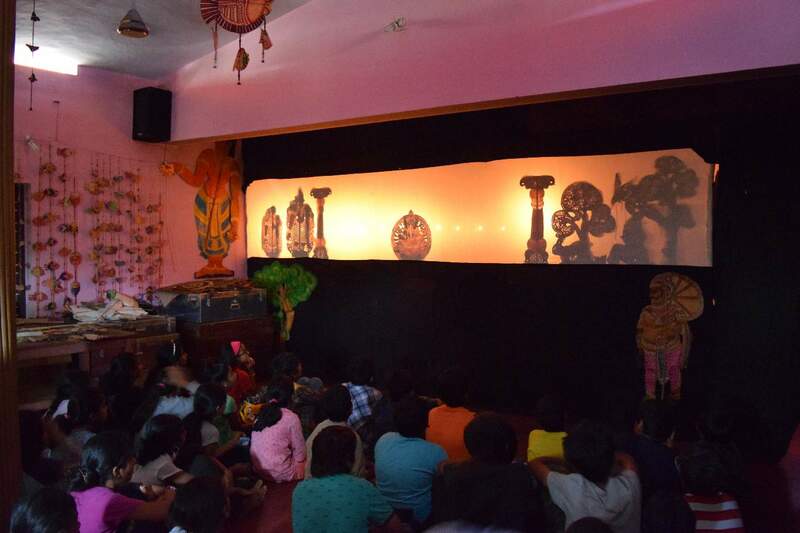 Before calling it a day we watched a Kathakali performance featuring a story from the Mahabharata. 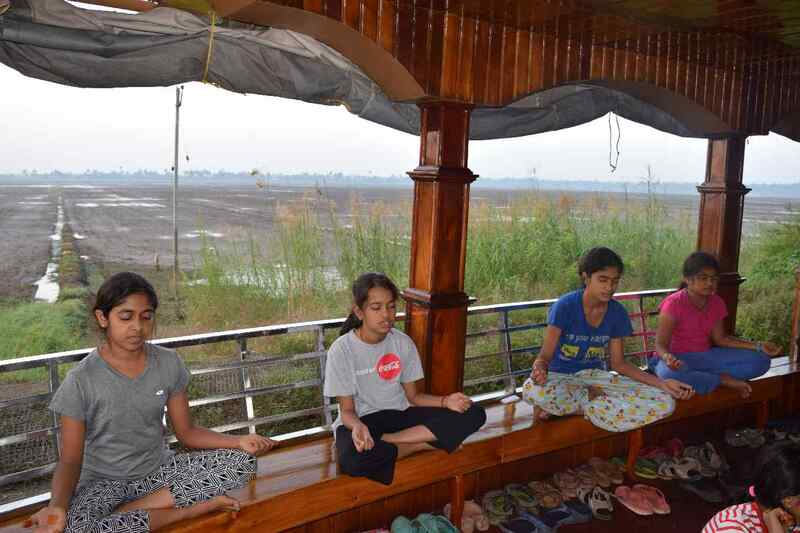 We even got to spend a day and night on a houseboat. 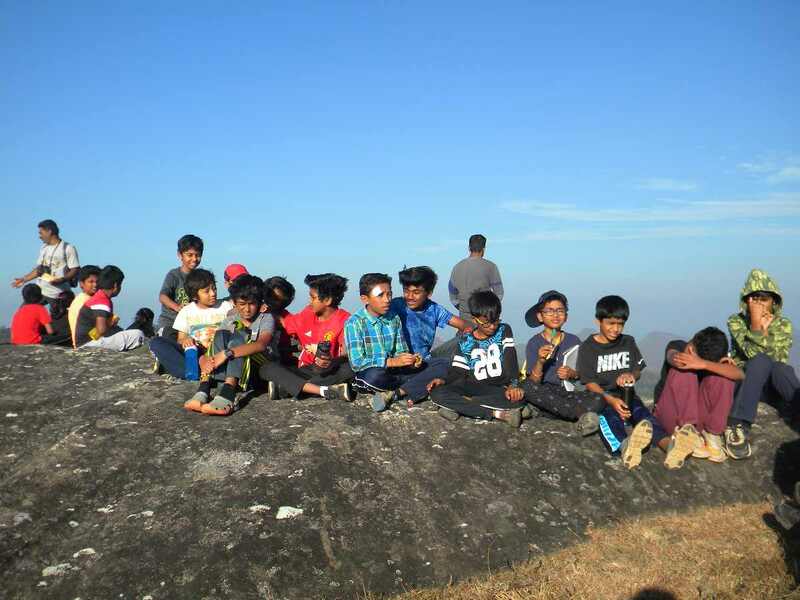 Walking through jungles, climbing mountains, bird-watching and going on a night safari were all packed into our wilderness exploration at Nelliyampathy. 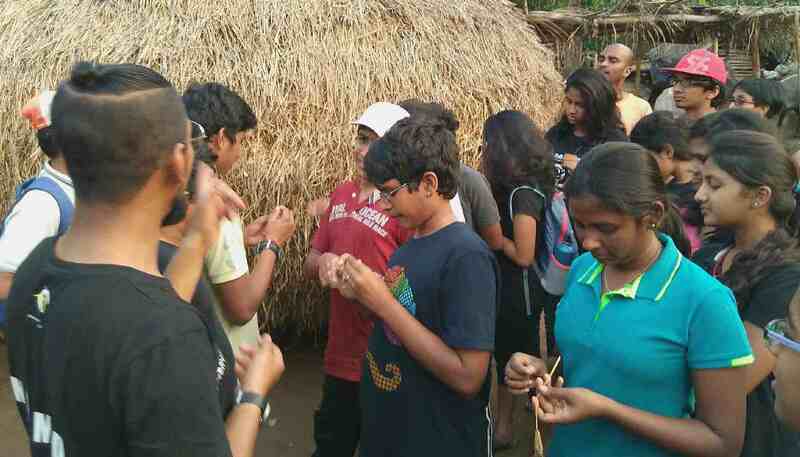 Joining with the Vayali Folklore Group we learnt about the traditional ways of making bell-metal, pottery and mats. 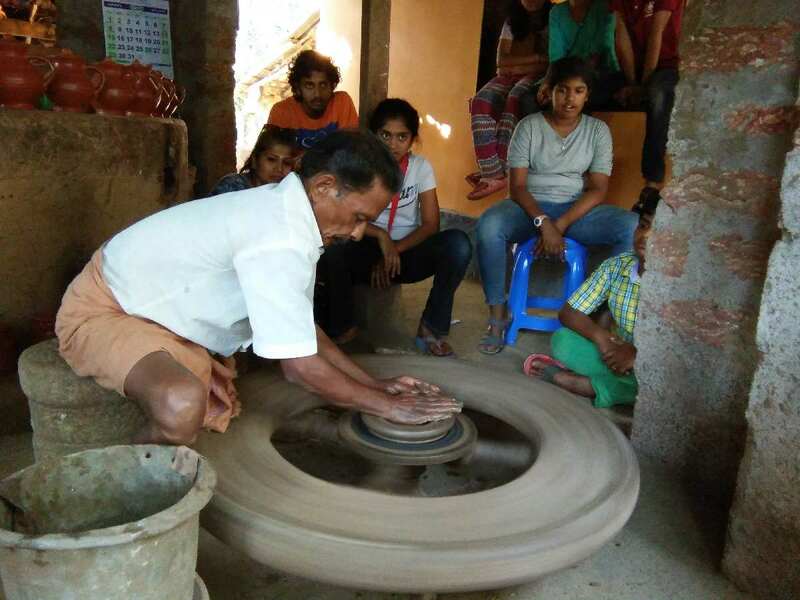 It was an enriching experience to learn about the forgotten ways of the traditional arts. Here are a few sharings from our trip…. I gripped my stick firmly as the climb became steeper, with every step my body felt like crashing into the ground but the thought of seeing the sunset at the top of a peak kept me going. We walked through sludge, short hills and weird grasses. Suddenly someone screamed “Two minutes more!” At once I threw my stick and rushed to the front. I saw the clearing and ran ever faster. I reached the top, wind buffeting my face but my eyes were fixated on the setting sun; the entire sky was on fire. The struggle was worth it. The sky was filled with colors, from neon orange to baby pink to cream to light blue. With the reflection of the sun, the backwater looked mesmerizing amidst the very many coconut trees that filled the background. Flocks of birds flew in various shapes and in great numbers. What an amazing sight! Yippee! We saw many gaurs! But after the sight I thought it was worth it. This was the best JEEP RIDE ever!!! 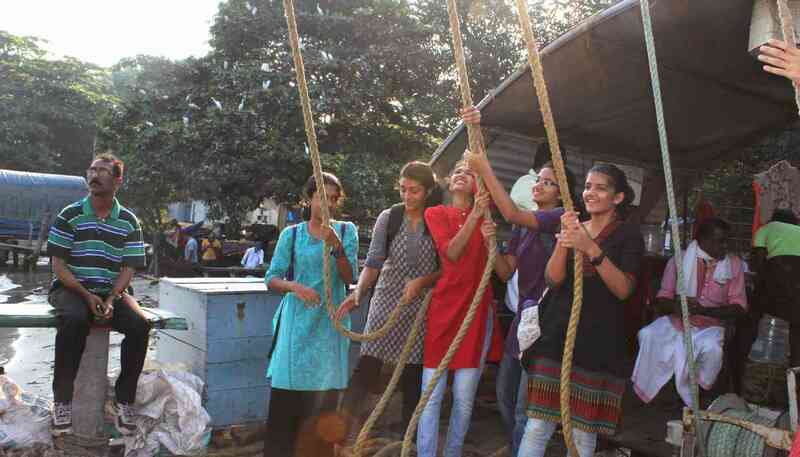 Initiative to preserve the Kerala arts and cultures. 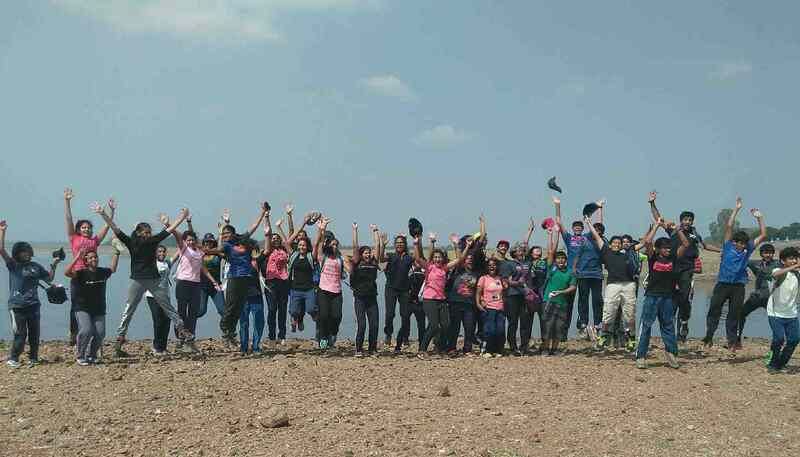 From 4th to 6th January, just after completing their Preliminary I Examinations, class 10 students were whisked away for a surprise trip to Kabini. 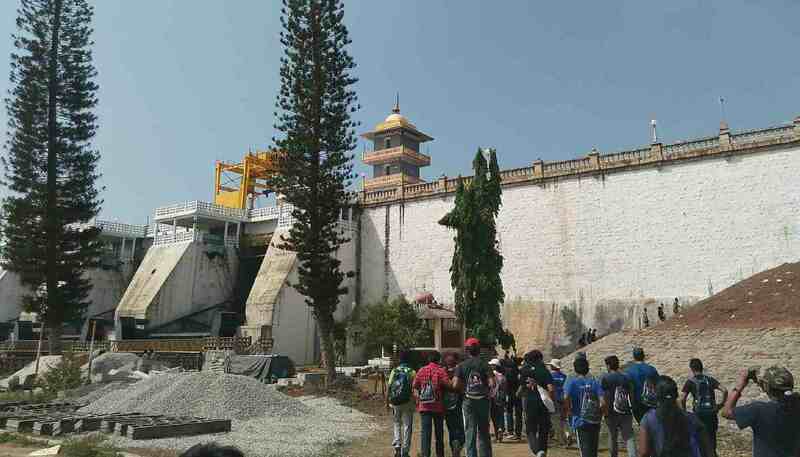 The trip was organized Nirvana Nomads. 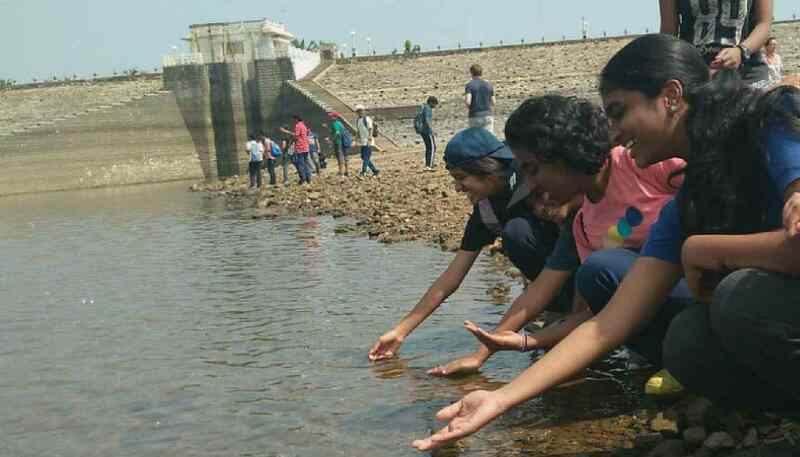 After our prelims, the tenth-graders got a much-needed break in Kabini. 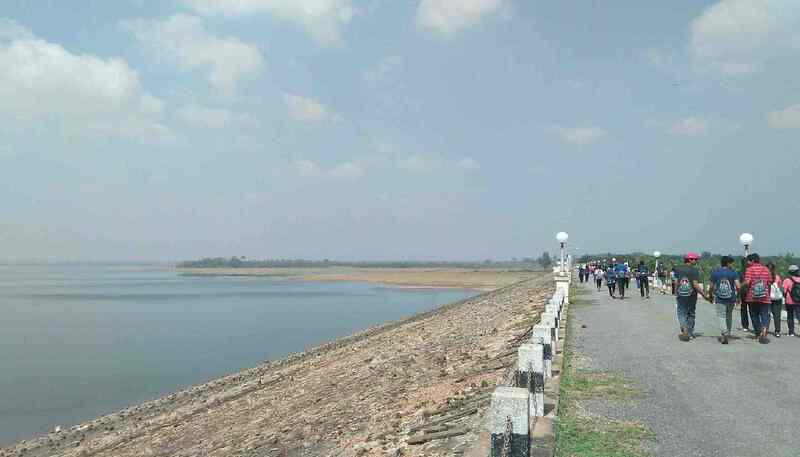 Nestled in the hills with criss-crossing backwaters and dams, it was the perfect place to relax and unwind. 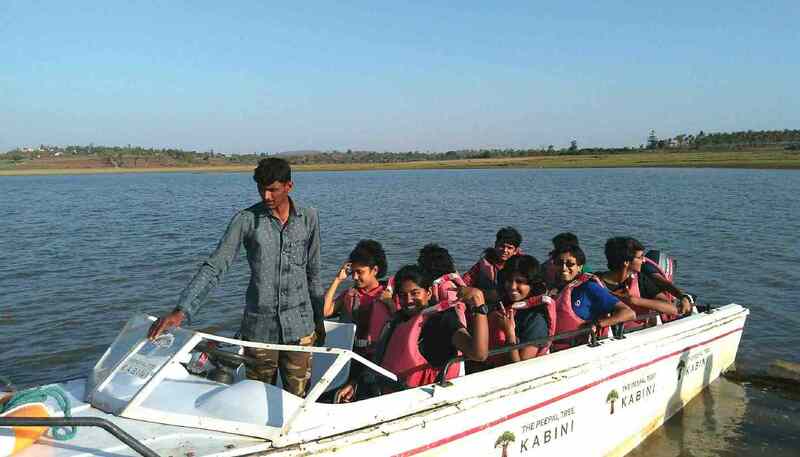 On our first day, after visiting the Kabini Dam, we went boating on the Kabini Reservoir and watched birds fish their evening meal in the golden light of the sunset. So close were they to our boat, that it was almost possible to stroke their feathers if one simply stretched out their hands. 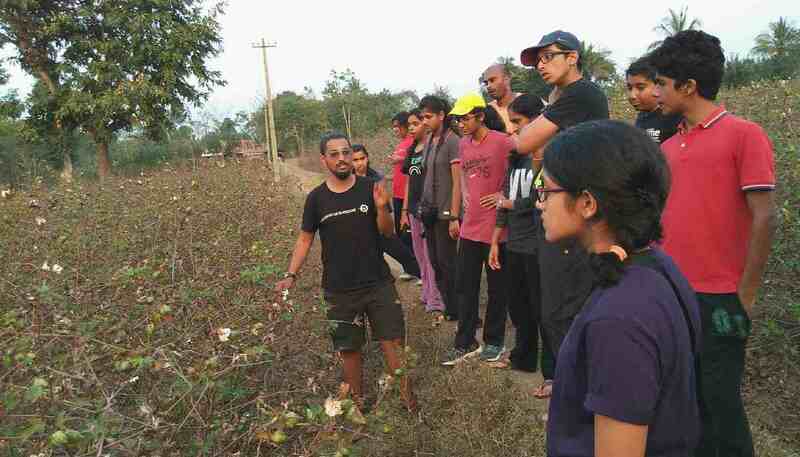 Our second day in Kabini had us waking earlier than we ever had even in school. Awoken, at three thirty am (a time I doubt even birds are awake! 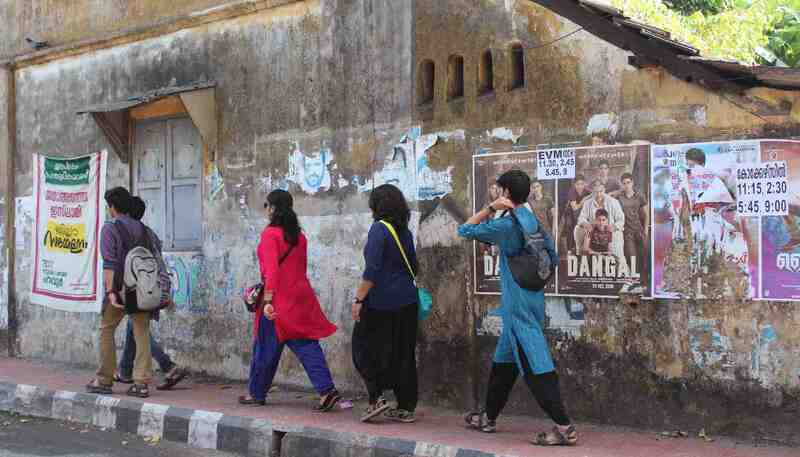 ), we trudged to the bus that would take us to Rajiv Gandhi National Park. Upon reaching our destination we were surprised by a two hour safari. The news of the safari made us excited enough to remove any trace of exhaustion. While in the park, we were able to spot several different kinds of deer and a family of elephants, who trumpeted in way of greeting. A few of us were even lucky enough to spot the body of a tiger vanishing into the depths of the woods. The safari was followed by a filling lunch and table-tennis time! In the evening we were taken to a nearby village where we saw cotton, pepper and banana plantations, the common crops of the area. 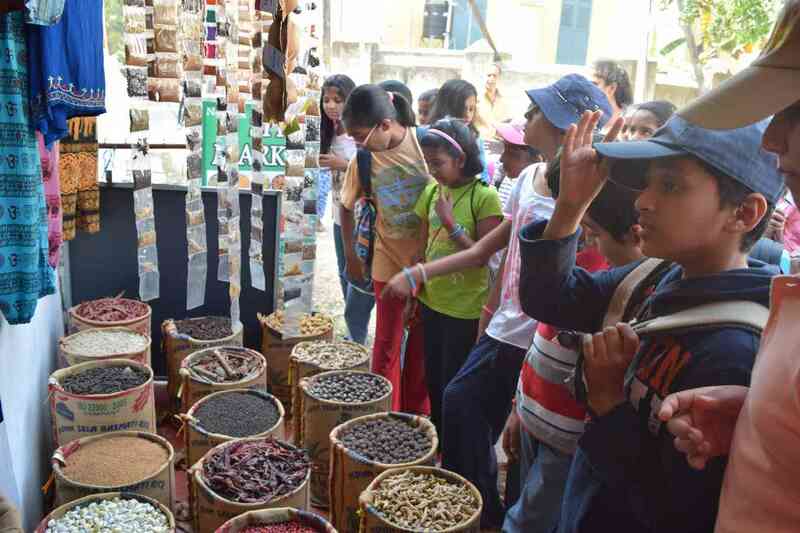 In spite of the language barriers we were able to experience the warmth of the locals who were eager to share their busy yet wonderfully simple lives with us. As a cherry on top, we sat by the lake and watched the golden sun disappear into the earthen folds of the mountains. 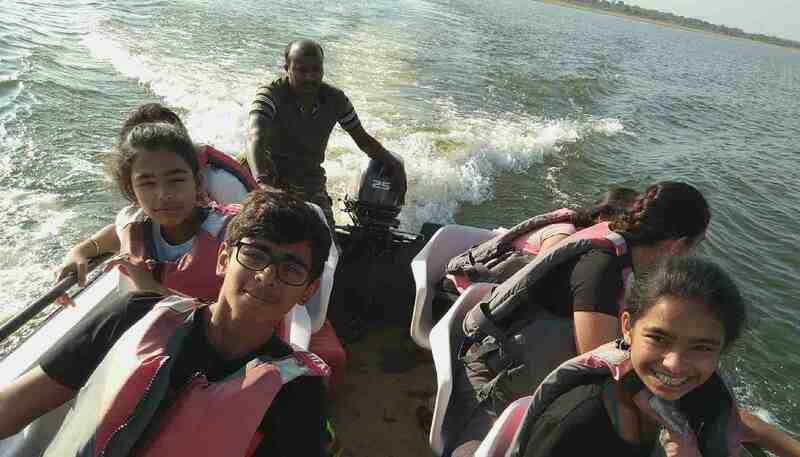 Finally on the way back, we stopped at the Ranganathittu Bird Sanctuary and went boating into crocodile infested waters. While some of us were scared of the crocodile (an adverse effect of too much Lake Placid), the others marveled at the predatory stillness of the age-old creatures. We also had an up close look at the nesting trees of black Cormorants, herons and Australian pelicans. 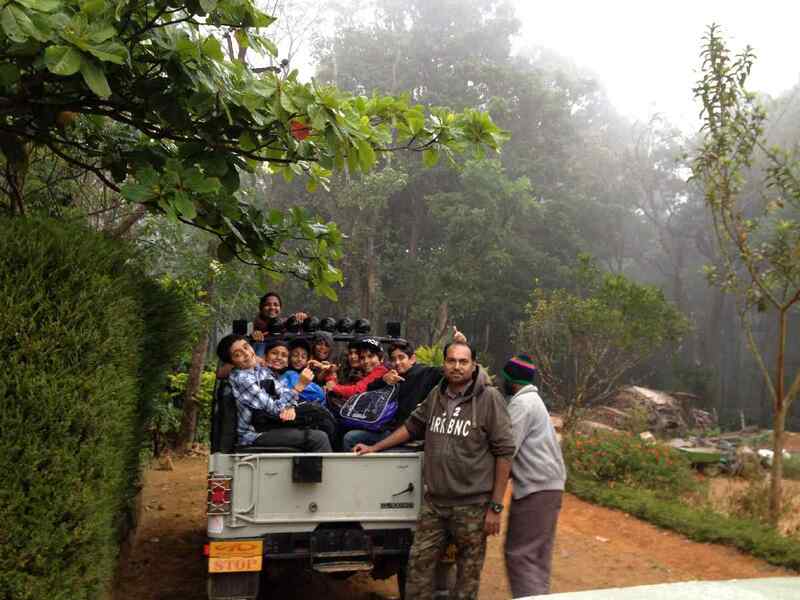 And so was the conclusion of an amazing and relaxing three day getaway to Kabini. 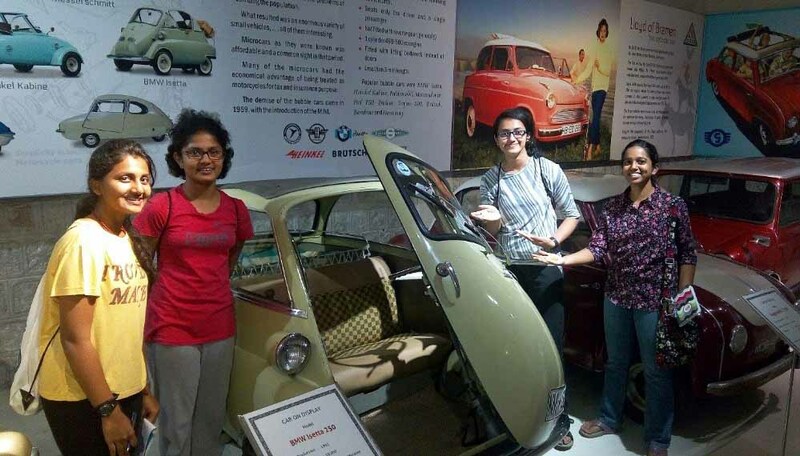 Members of the Automobile Club visited the Gedee Car Museum in Coimbatore during their last TED (Talent Exploration Day) session this year. 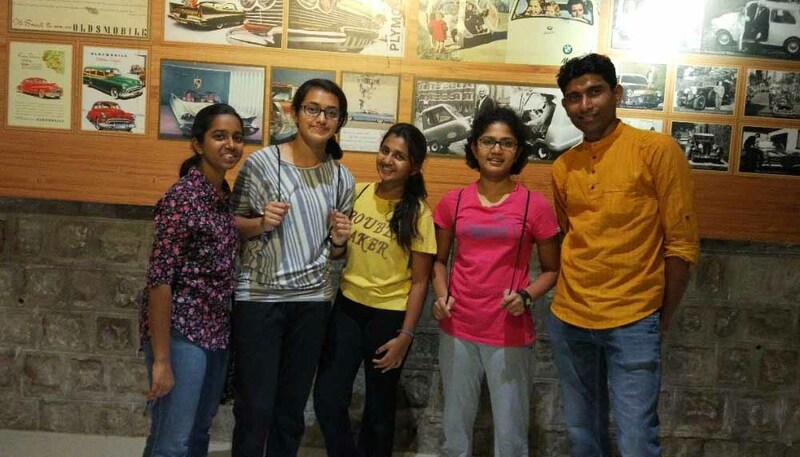 Four students accompanied by Mr. Sarada Dash, the facilitator of Automobile TED, and Mrs. Geetanjali Deshpande, visited the museum and returned with much more than expected. 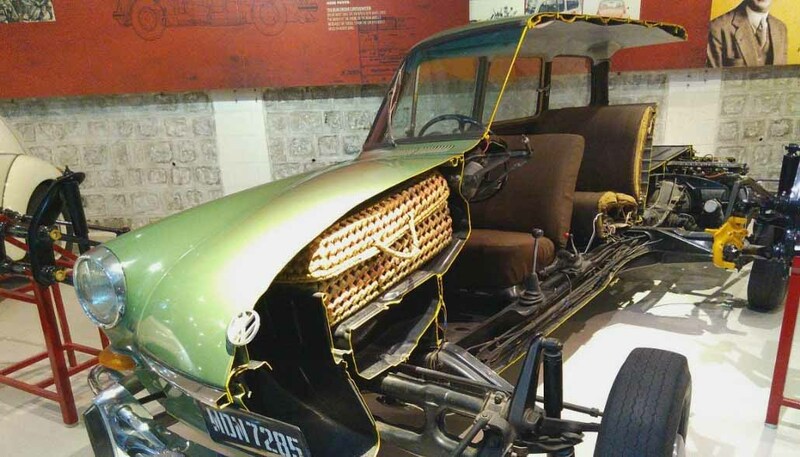 The museum had an extensive collection of vintage cars, working models of car parts and even recent car models. The museum provided a fluid narrative of the history of cars, an evolution spanning over a century, which deepened appreciation for the level of sophistication achieved in this day and age. Students were able to apply their theoretical learning of automotive parts and how an engine works, and actually witness first-hand innovations in automotive engineering. 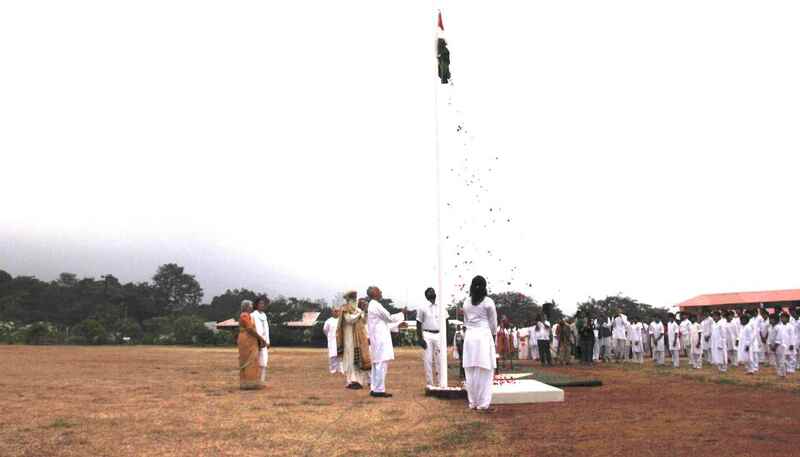 The morning of the 68th Republic Day of India started with the hoisting of the flag and the national anthem. 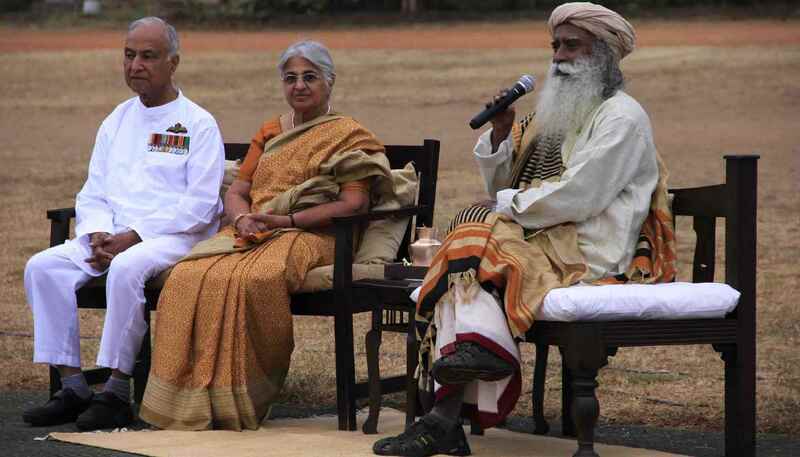 The flag was hoisted by Mahavir Chakra awardee Rear Admiral SK Gupta, in the presence of Sadhguru. 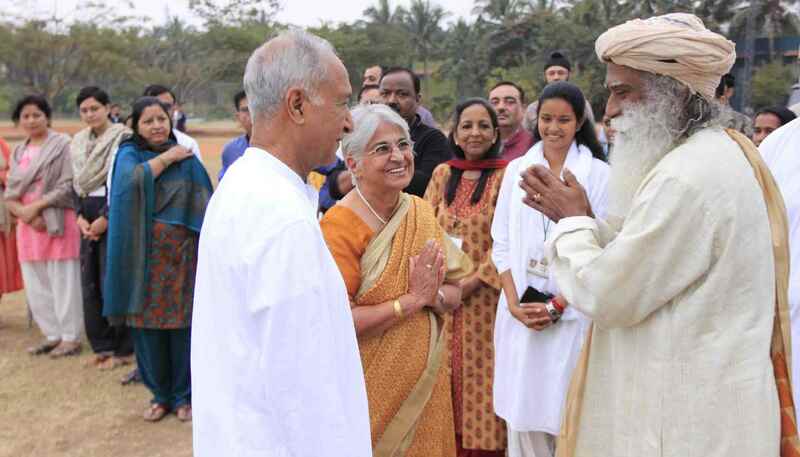 Following a rendition of “Vaishnava Jan Toh”, Sadhguru addressed the gathering, and then students and parents headed to Tarana for a special assembly. 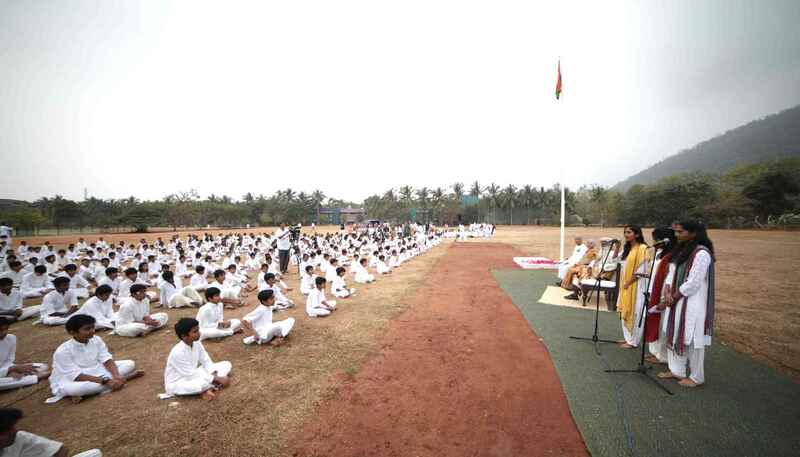 The assembly began with a medley of songs sung by teachers, followed by a panel discussion on the role of national symbols in creating a sense of patriotism. 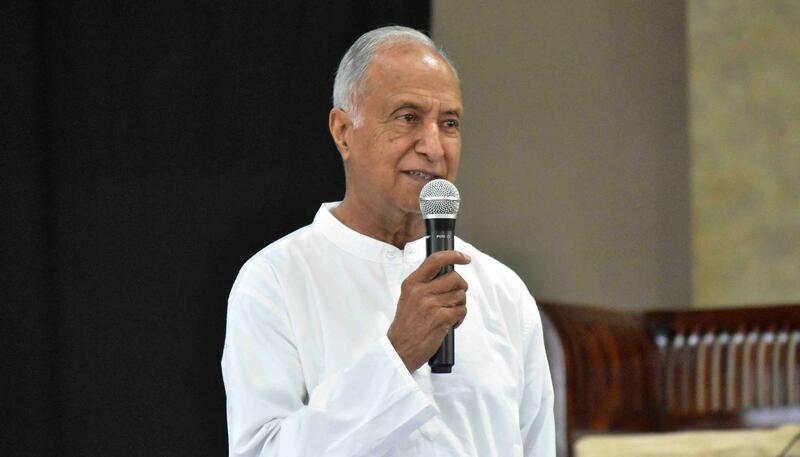 After a faculty performance of a Tagore poem, “Where The Mind Is Without Fear”, Rear Admiral Gupta spoke to the audience. 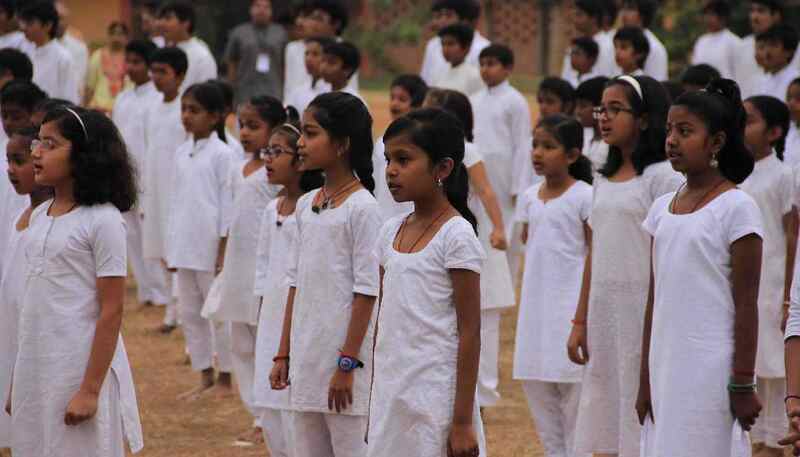 The assembly was brought to a close by a superb a capella rendition of “Vande Mataram” by Senior School students. 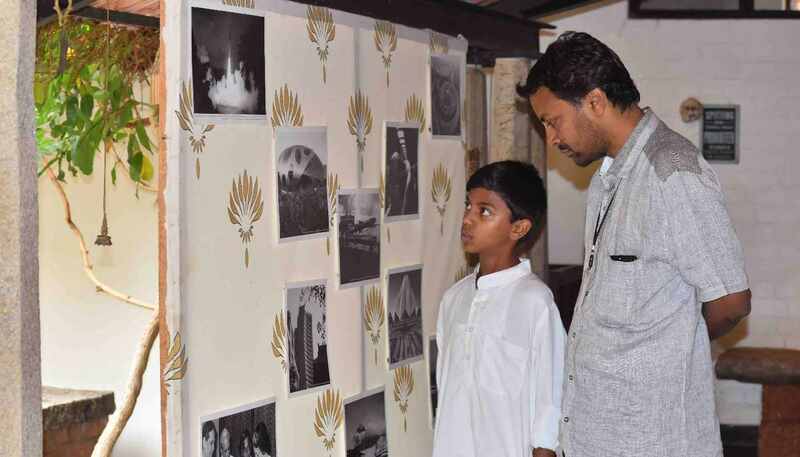 After the assembly, a curated display of rare photographs from the freedom movement, Emergency Period, and the building of modern India was held in Gnana Shala. 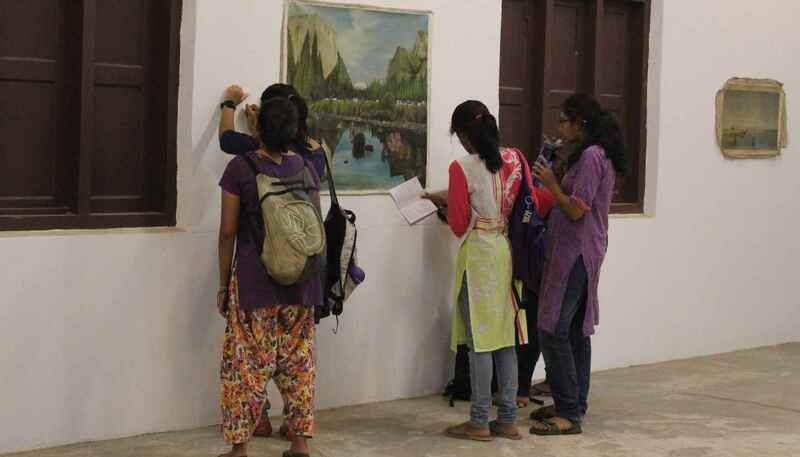 An art exhibition by 10th and 12th class students was also on display in Suryakanti. After breakfast, it was time for a little cinema. 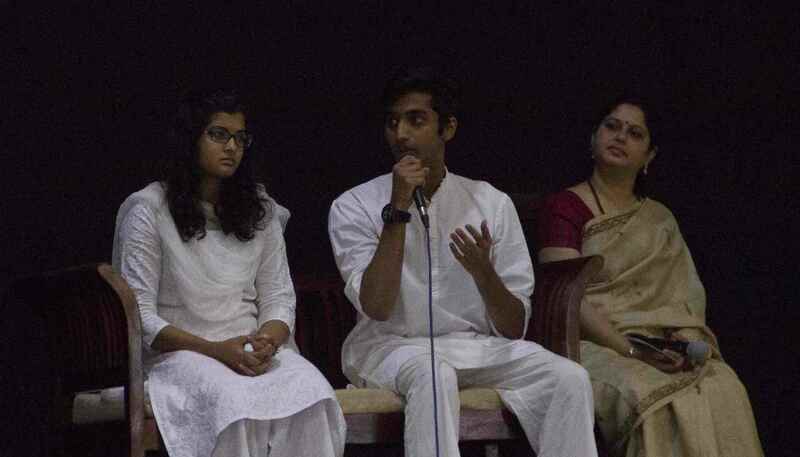 Movies were scheduled for everyone, was screened for Juniors, Kya Dilli Kya Lahore for Middle and a selection of four movies for Senior School students. It was a pleasant, quiet day. Overcast skies and a bit of rain made for a festive atmosphere, and a number of students and parents were taking full advantage of their parents visit. Everyone came together for snacks in the Coconut Circle, and again for moonlight dinner. Chhole Bhature and Ice cream, a live saxophone performance and a soothing, languid breeze made for a pleasant end to a memorable day. Though I’ve heard about various forms of art, until this trip I had never seen or experienced such a mind-blowing art exhibition. 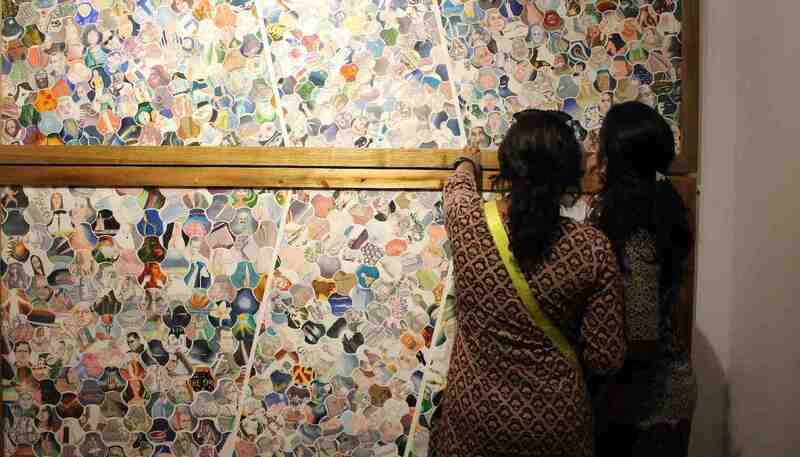 The Kochi-Muziris Biennale is an international art exhibition where over a hundred artists from around the world display their work. Most of the art there is contemporary artwork, which means it is the very latest in what artists are doing now. Much of it is conceptual, where the ideas of the artists are just as important as the way it looks or how it’s made. This made our gallery visits quite interesting, as we often had to do some detective work to understand what the artist was trying to say. 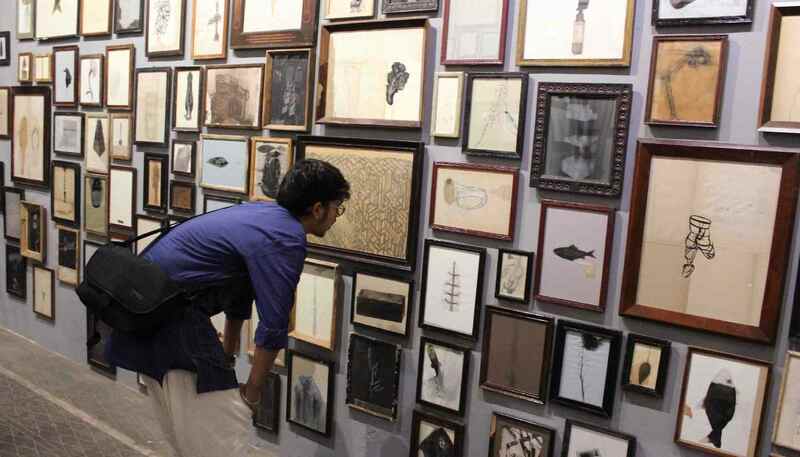 After seeing the kind of art that was on display, my entire perception of art has changed. The most unique thing about this Biennale was that the art pieces incorporated all the five senses. In the installation by artist/poet Raúl Zurita, a hall slightly bigger than Tarana was filled with water. The artist’s poem entitled ‘The Sea of Pain’ was projected onto the walls, his intention for viewers to walk through the hall and actually feel the message that he was trying to convey. Not all the work included in the Biennale was contemporary. I particularly liked the intricate Pichvai paintings, a traditional Rajasthani art form. On these Indian temple hangings, painted on cotton cloth, Krishna is depicted in a myriad of forms Interestingly, in temples, these paintings are placed like a background behind the decorated deity. 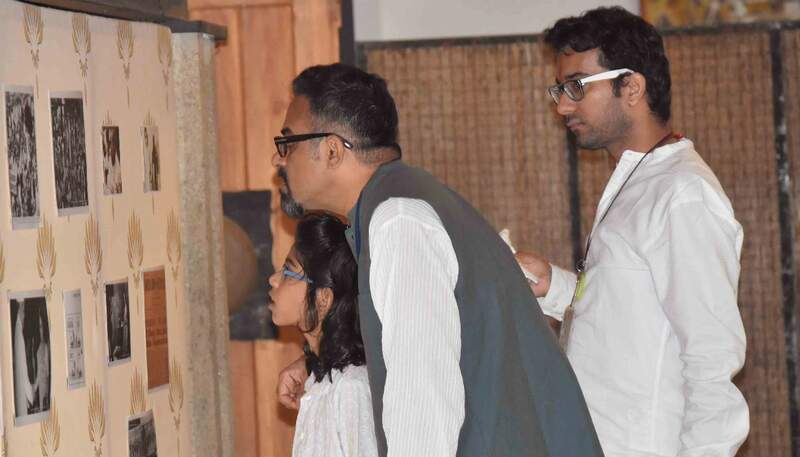 Our group from Home School had the privilege of interacting both with the founder and president of the Kochi-Muzuris Biennale Foundation, Bose Krishnamachari, as well as the Artistic Director of this year’s Biennale, Sudarshan Shetty, an internationally renowned artist himself. 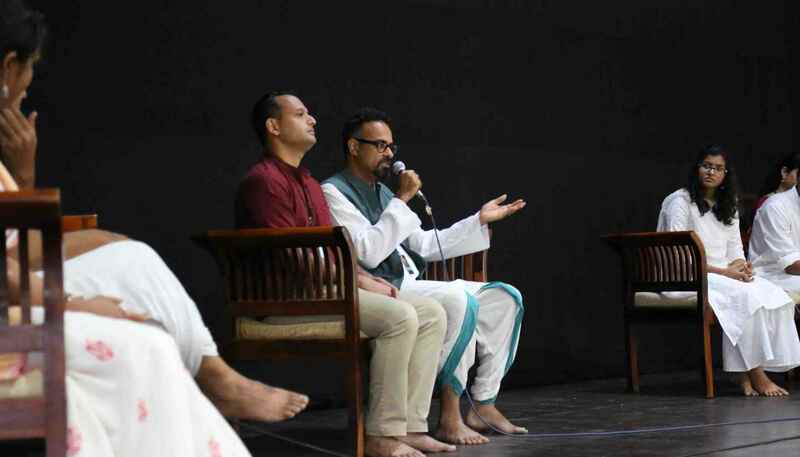 We were grateful to have the opportunity to hear from them about the vision and mission of such a huge undertaking and what is required to create an event of this kind. 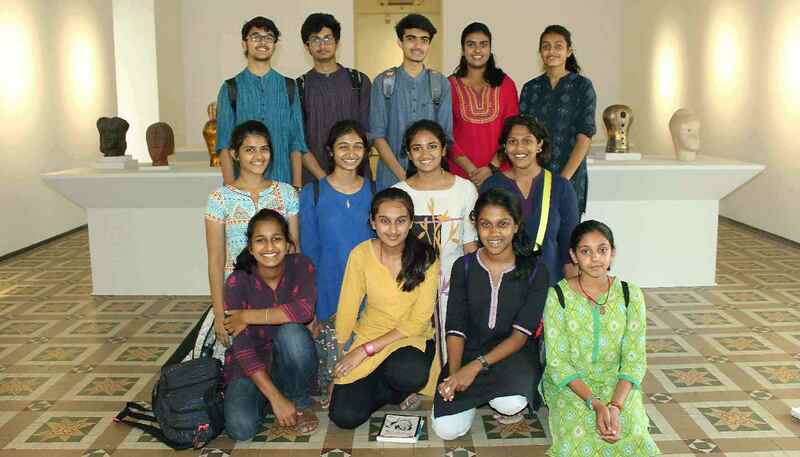 Not only did we get an exposure to all kinds of art at the Biennale, but we also visited the Kerala Folklore Museum where we were awed by the myriad of traditional paintings, intricate sculptures and artifacts we saw there. The architecture of the museum itself was not to be missed.